According to a recent report, the laundry industry was worth more than $5 billion as of 2017. And in an industry that’s largely recession-proof, that means there’s a lot of business to be found by everyone in the coming years. But simply because business is booming doesn’t mean that all that money is flowing in your direction. For one thing, there’s plenty of competition. That, and marketing in the B2B sector can sometimes be tricky. Even if you know that your product or service is the best, how do you let new customers know that? And then you move into a whole host of other issues like budgets, customizing your sales efforts, and so many other little details. But that means taking the leap into digital marketing. But don’t just take my word for it (because I’m a little biased), let’s look at some numbers. First of all, you have to understand that the world has completely changed in the last thirty years. The way we interact, consume media, and want to be marketed to has changed drastically. And the laundry industry is no different. Walk into a newer laundromat, and you’ll see machines with digital displays, wifi connectivity, and the ability to accept payments from smartphones. That type of technology wasn’t around just a few years ago. So we’ve stayed up to date with the technological trends, but as much as 49% of businesses don’t have a clear digital marketing strategy. And that means they can be missing out on a lot of potential revenue. But what about actual, proven worth? 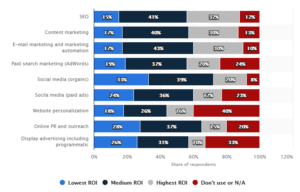 Well, according to Statista, the majority of businesses report a positive ROI on their marketing efforts across every digital channel. So while this might be a new endeavor for you, the potential is there for any and every business. 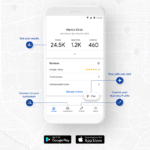 There are dozens of ways and places you can market your business, and wading through this new frontier on your own can be daunting. To help you come to grips with the basics, I want to share nine essentials of marketing that will help you market to anyone in the laundry industry. You’ll be able to grow your lead generation, optimize digital conversions, and make more money with these proven tips. And to get things started, let’s talk about your home base. Right now, there are more than 1.8 million active websites. And that number is growing at an alarming rate. So why would I start you here? Well, because your website is the centerpiece of your digital presence. It’s what attracts visitors, engages with them, and pushes them deeper into your sales funnel. The popular marketing site Business2Community put together an extensive list of reasons why you absolutely need to focus on your website first and foremost. 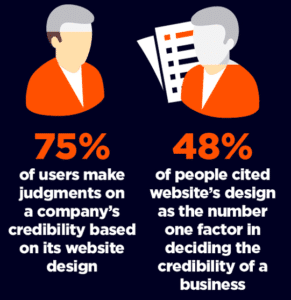 While you may not like it, 3 out of 4 people who look at your website – or lack of one – make a judgment about your credibility. And almost half of Internet users will leave a site altogether if they feel the design is poor. Not the whole website. Just the design. So tt doesn’t matter if you’re promoting a sale, or have the latest and greatest equipment if your website is sub-par. 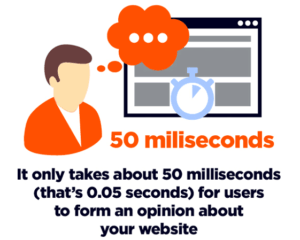 That’s right, it takes the average Internet user 2.6 seconds to pick out the element of your site that will act as their biggest and most important impression of you. That might sound like a short amount of time, and it is. But it’s also true. 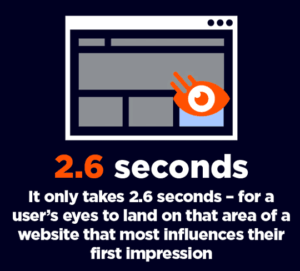 If you can’t give an accurate display of your brand, what you do, and why you do it in 2.6 seconds, you’re not likely to have a website that succeeds. Can you do anything in 0.05 seconds? Probably not. At least not consciously. But studies have shown that Internet users create an opinion with lightning-like efficiency. They know immediately if they want to consider buying from you. And if they even so much as think the color or font is a little off, that could mean the end of their short visit with your brand. That’s a lot of potential customers just walking away. So all things considered, your website isn’t just a fancy digital billboard. It’s a living, breathing entity that represents your brand and affects how you’re perceived by your customers. If you don’t have one, or if it’s been awhile since it’s been updated, then you’re likely experiencing fewer sales and a poorer brand image. So start with the basics. Build an eye-pleasing, easy to understand website first. As you’re considering the construction and implementation of your website, you should also take into account that there’s a “method” of “sales” that implements every piece of your digital jigsaw puzzle. That is, there’s a funnel, or conversion path, that everyone you end up selling to goes through. It’s been recorded, studied, and blogged about an unimaginable amount of times, because it’s one of the most important concepts that you must understand as an online brand. As you can see, the funnel casts a wide net as you try to attract more customers to your site. When you post blog articles, share on social media, or engage with an email, you’re building engagement. Then as your relationship grows, you’ll have more opportunities to close the deal. While this is a pretty simple representation, it’s a great way to understand the basics. If you don’t set up your website, social media, and everything else in order to push people easily through your funnel, you’re going to have a hard time seeing any tangible results. As you move people through this marketing methodology, you’ll convert them from strangers into brand promoters. But again, failing to use this method can leave you spinning your wheels and ultimately be a waste of your money. Get started on the right foot by keeping the entire sales funnel in mind from the beginning. You probably know who your ideal customer is from a sales standpoint, but it’s essential to take that information and apply it to your marketing. 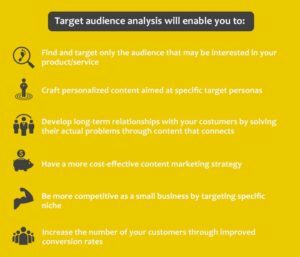 The more you know about the demographics of your target audience, the better you’ll be able to approach them and start a conversation with them. Targeting your specific niche will allow you to better prioritize your budget and get better conversion rates over time. Not only that, you really don’t need to advertise or market to everyone. Someone outside of the laundry industry is unlikely to read your blog post or see your ad, so being able to not consider them is a huge benefit. 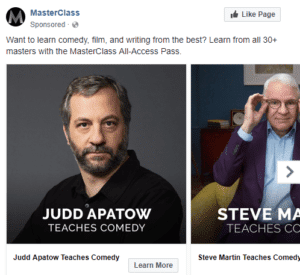 But how do you find out who your marketing audience is? 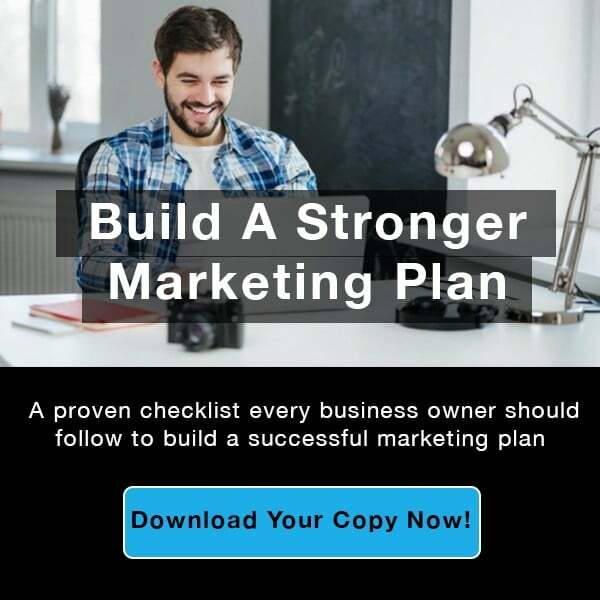 According to Marketing Insider Group, it’s best for any business to start with its existing audience. Go through the information you have and discover if certain demographics like income, age, or any other distinguishing aspect start to create a common thread. You can also evaluate their behavior during and after your sales and onboarding process to see which elements stand out. With time and attention, you can start to build personas that categorize and prioritize your customers into easily segmented audiences. And when you market to those audiences, you’ll see higher conversions and more sales. Once you establish your website and start to understand the basics of marketing, you need to start considering the type of content that your audience will want to see. So we’re talking about making and sharing something that your reader, viewer, or buyer will like. And that interaction can lead to a sale one day, which is why you should consider it as another marketing essential. 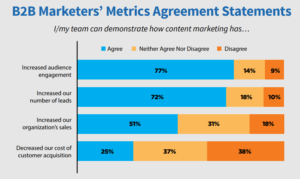 In Hubspot’s B2B Content Marketing Benchmarks report, they found some very interesting facts about how the business to business world creates and uses content. 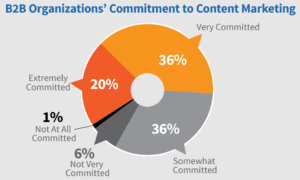 First and foremost, they found that 43% of B2B players took very minimal efforts to market using content that they created, citing “somewhat” of a commitment to none at all. At first glance that might not sound like much, but if you think about it that reflects a large number of businesses aren’t too concerned with their content. And on the flip side, it shows that the majority of businesses have started taking their content seriously enough to start devoting quite a bit of their time and money on it. But as with every other marketing questions, you need to know if it can actually work for you. As you can see, most B2B companies that are using content report that it increases audience engagement, builds a bigger lead pool, and helps with the organization’s sales goals. So while it’s not a guarantee, content marketing as a part of a greater strategy can be a profitable way for your business to build long-term success. “Search Engine Optimization” is one of the many phrases you may have heard come out of a marketers’ mouth at some point. If you’re like I was when I started out, that may be a bit of a head-scratcher at first. But Search Engine Optimization, or SEO for short, is one of the basic building blocks of successful digital marketing. You see, when you search for a term in Google, Bing, or any other search engine, you (and most others) typically only look at what’s on the front page. 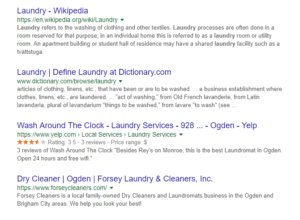 In my case, when I search for the term “laundry” I get a Wikipedia article, the Dictionary.com definition, and then a couple of local places where I could go to wash my clothes. This is what SEO looks like. These sites are established and “authoritative” enough according to Google that they should be on the front page. Even though this example is mostly larger, more established sites like Wikipedia or Yelp, any brand can get their website to the front page like this. And this endeavor is worth it. Highly ranked sites see click-through rates of 29.87%, which means almost a third of the people who see a result on a search engine actually check out the website in the listing. If that sounds good to you, it’s because it is good. The number one rank on Google is one of the most sought-after prizes in all of digital marketing. But don’t let the complexity, jargon, or the idea of a longer sales funnel dissuade you from practicing solid SEO with your digital marketing. It can take years of effort, patience, and spending to achieve, but the results can help you increase revenue and truly dominate your space. Social media has taken the world by storm in the last decade, and it’s changed the way that businesses interact with the world around them. You may still send out a press release to the media when something major happens in your business, but you also tweet, share, and promote that event on your social media accounts too. But does social media actually help you gain business? That’s what’s important here. First off, you should know that not all social media sites are created equal. So while personal preference plays a role in your bias towards a certain platform, you may want to consider starting a LinkedIn or Twitter account if you haven’t already. Because when you consider the functionality of these sites, it makes sense that you should use them for business purposes. 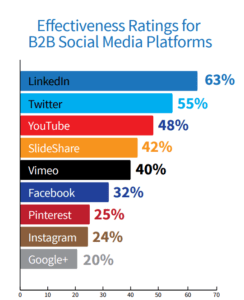 LinkedIn is packed with other professionals, which makes it the perfect lead generation tool in the B2B space. And when you take into account the fact that 60% of buyers check out your social media before they buy, the answer becomes plain. Creating a social media presence and interacting with others online is one of the best ways for your business to get its feet wet with digital marketing. Even if you’re B2B, you can start engaging and growing your brand today. Paid advertising can be a huge benefit for any business that wants to generate leads, boost website traffic, or increase their revenue. And if you’ve spent much time online, you’ve probably become familiar with what these ads look like. You’ll typically find them in two places. And whatever your opinion is of them, they’re part of the financial backbone of the sites we visit on a regular basis. But does it have a place in the laundry industry? That’s a bit more of a difficult question to answer because it depends on your goals, expectations, and budget. It certainly can help if you know what you want to get out of your efforts. But it’s not something you can just set up and let go of. Much like SEO, it’s a never-ending process of testing and improvement that often requires a practiced hand. But again, if executed correctly, paid ads can help you shorten your sales funnel and find customers who are more inclined to engage with your brand and make a purchase. Every business and industry is going to end up applying the basics of marketing in a way that’s helpful to their niche. The laundry industry is no different. Yet you can’t deny that common foundations exist for all marketing and that the basics can be applied successfully even in our industry. So instead of wondering how to move forward, take advantage of the tips in this post. 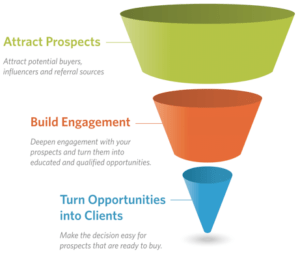 Familiarize yourself with the marketing funnel. 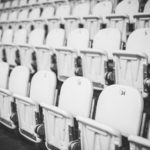 Build an audience and a content strategy. Work on your SEO and social media efforts. And throw in some paid ads when it’s appropriate. If you do all of the essentials of marketing right – together – you can create a powerful digital brand that can make you way more than recession-proof in the coming years. It can revolutionize the way you do business for good.